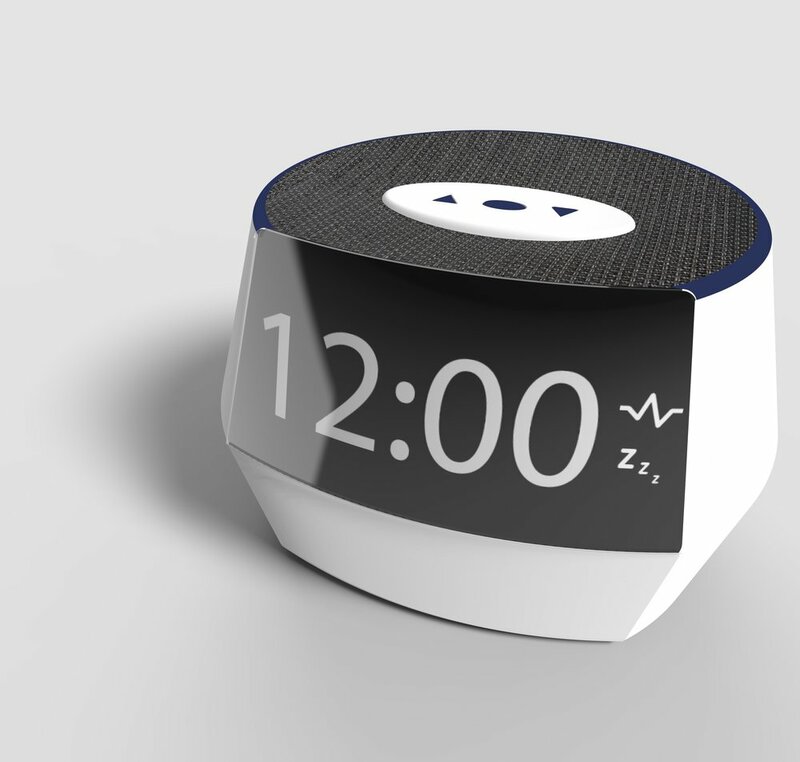 A smart alarm clock for aging adults that helps track sleeping habits, and notifies family and/or guardians of any abnormalities that could indicate a decline in health. Donald lives on his own and spoke to us about how difficult it is to understand his sleep cycle now that he is getting older. He found that he sleeps more, but isn't sure if that is normal or if it is a sign of a decline in health. Our interview at Buckingham South was with the caretakers that work at the facility. A major pain point for them was that family members that do not live nearby often don't understand what their loved one goes through on a daily basis. "Feeling independent is still important." An easy to use alarm clock that learns the user's schedule to appropriately suggest bedtime for a more restful sleep and an easier time waking up. The application that can be used by a family member to check on a loved one without being invasive. The application sends notifications about sleep habits and alerts when there is an abnormality. Doze notifications are customizable based on the user's preferences for frequency and notification type. For example, a user could choose to only receive notifications when something might be wrong, or they can receive a daily notification. 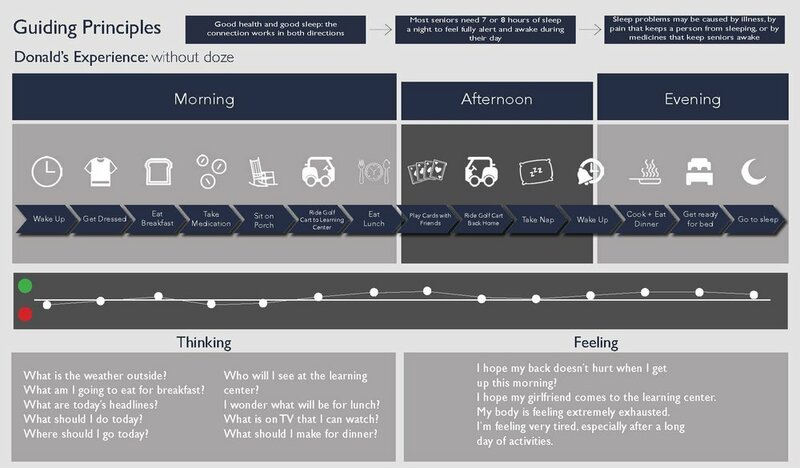 Doze learns from the user overtime based on their habits. For example a normal sleep pattern for one person may be a warning sign for someone else. Doze aims to adapt to each user and learn based on their needs and habits.